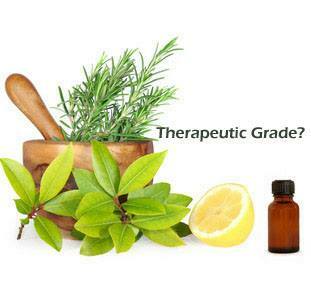 Myth #1: There is an independent body that certifies essential oils as Therapeutic Grade. The truth is that there are MANY company-developed therapeutic grade standards. The problem is, which one do you trust? It’s important for people to realize that all of these standards are INTERNAL standards developed by companies selling oils and may or may not include quality control by a third party lab. Furthermore, if a third party lab is used, does this lab really know what they are doing? It's also important to know what the company defines as being "therapeutic grade." Does it simply mean that the oil is pure or does it mean something beyond purity and carry with it a quality standard as well? Let's face it, an oil can be pure as the driven snow but still be low quality, I see this on a daily basis in the samples I analyze for my clients in order for them to make good buying decisions. Judgments about essential oil quality take more than just good chemists and good equipment, they require many years of experience in odor evaluation and knowing what specific minor components are desirable in an oil, not just focusing on the major components. Most avid essential oil aficionados understand that there is no independent standard for “Therapeutic Grade” that is universally recognized. Let’s be honest, it’s hard to even pin down exactly what does “therapeutic” entail in the first place, at least in any quantifiable aspect. And while you may not like the promotion of Therapeutic Grade by various companies, it’s not really correct to say that “thereis no such thing as Therapeutic Grade” because companies do have the freedom to make up any grading system they want. It’s just important to be aware that these grading standard are largely just marketing ploys by most companies. I think a better response to those promoting such an idea would be to say"while many companies promote their own therapeutic grade standard, one should be aware that there is no universally accepted independent body that certifies essential oils as therapeutic grade." That is a fair statement that is factually correct and nobody can refute. Using this language will not cause dialog to shut down between those on the MLM side and those on the more traditional side of aromatherapy.